Any spread of infection in a nursing facility in Illinois could be detrimental to the health and well-being of every resident. Because of that, the nursing staff and employees are provided guidelines, procedures and protocols to eliminate any spread of contaminants, infection, viruses and bacteria. Unfortunately, not all nursing facilities follow these procedures. Sadly, the Vandalia elder abuse attorneys at Rosenfeld Injury Lawyers LLC have handled many cases where a resident’s health and well-being was compromised due to a preventable spread of contaminants. 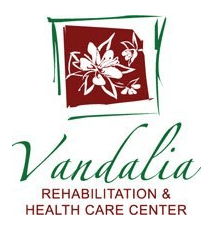 As a part of the Peterson Health Care System, Vandalia Rehabilitation and Healthcare Center provides short-term and long-term skilled nursing care, memory care, Alzheimer’s/dementia care and their Pathways Rehabilitation Program. To ensure that families are fully informed of the level of skilled health and hygiene care every nursing facility provides in the US, the federal government and Illinois regularly update their nursing home database systems. The information provides details of all opened investigations, filed complaints, health violations, and safety concerns that are uploaded to numerous websites including Medicare.gov. If your loved one has been harmed, mistreated, neglected or abused while residing in any Illinois nursing facility, including Vandalia Rehabilitation and Health Care Center, Rosenfeld Injury Lawyers LLC can provide immediate legal intervention. Our Illinois nursing home abuse attorneys can also ensure your family obtains the financial compensation they deserve. Call our Fayette County elder abuse law firm today at (888) 424-5757 for a free, no-obligation case consultation. No upfront fees or retainers are necessary.